Microsoft has been hard at work perfecting its Translator app, having introduced support for offline use, OCR, and dual-device translation in recent times. On Tuesday, the company announced another interesting new feature that makes it easy to interact with groups in 60 different languages. The service lets you start a conversation with up to 100 participants (they can join by entering a code or scanning a QR code) and display translations of everything you say in their preferred language in real-time. That could certainly come in handy for situations such as speaking with refugees who’ve just arrived in a new country or conducting a guided tour with travelers from around the world. Each person only needs a connected smartphone or tablet to view translated text in their language of choice. 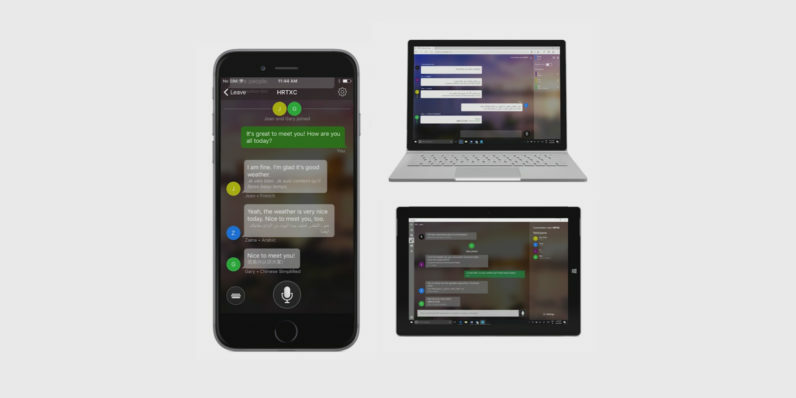 Microsoft says its new service works equally well for one-on-one chats. The universal translator builds on the tech behind Skype Translator, which facilitates real-time translated chats over the Web; the feature became available last October and arrived on mobile earlier this week. It uses deep neural networks to understand words in context to provide meaningful and accurate translations. The new service is currently in live preview, and you can try it using the Microsoft Translator app for iOS, Android, Amazon and Windows Phone, or by visiting this site.